This series of rescue knives is dedicated to police, paramedics, and rescue professionals. The Medic liner lock folding knife is equipped with a glassbreaker, belt cutter, carry clip, and a corrosion resistant 440 stainless steel blade. 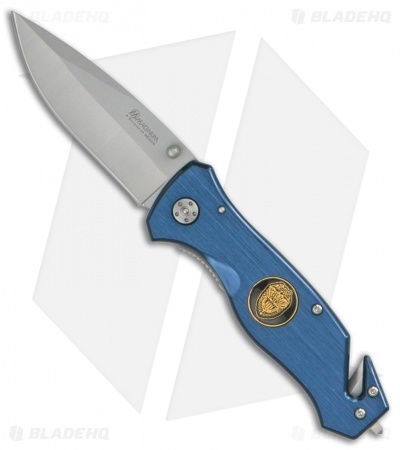 It has a blue anodized aluminum handle with a black and gold police logo.